I haven’t made a falafal in years, ya know why? It was a bit of a disaster and they completely fell apart during the cooking process. In an effort to make a few meatless meals a week I figured i’d give it another go, thankfully much more successful this time around! 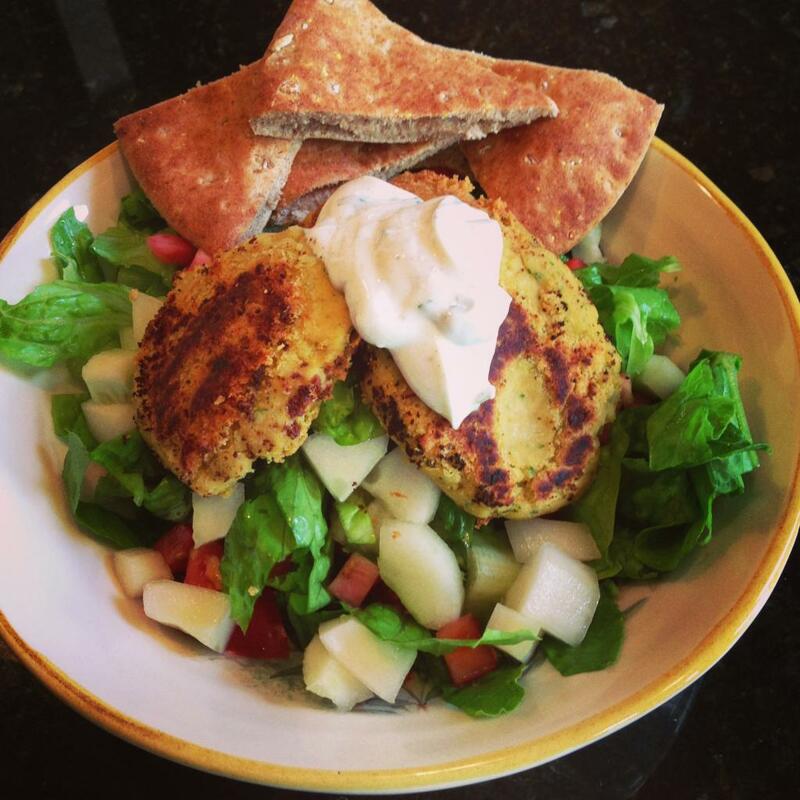 If you’ve never had a falafel before its basically a chickpea fritter. They are typically deep fried then stuffed into a pita along with lettuce, tomato, cucumber and a tzatziki sauce (yogurt based sauce). I switched it up just slightly by making more of a salad out of it but keeping all the elements present. I will definitely be making these again soon! 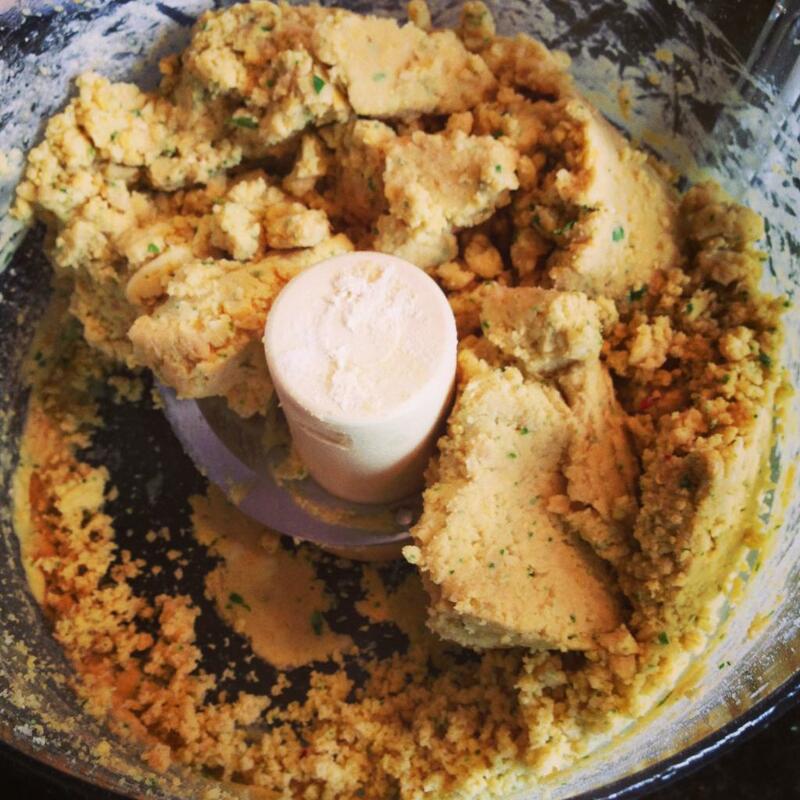 Pop the chickpeas, chickpea flour, garlic, cumin, parsley, water, salt and pepper into a food processor. Mix until well combined and the mixture is sticking together well. Place mixture into a bowl. 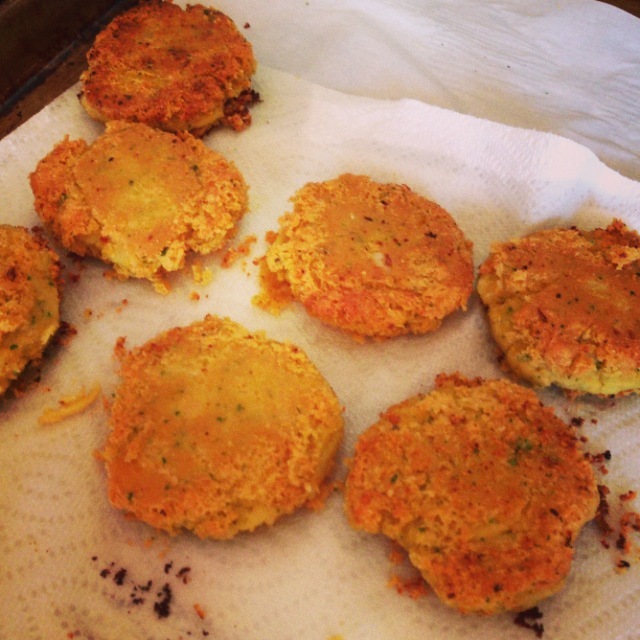 Form into palm sized patties and place onto a lined baking sheet. Refrigerate or 15 minutes. In a large saute pan, over medium high heat, drizzle in a little oil just to coat the bottom. 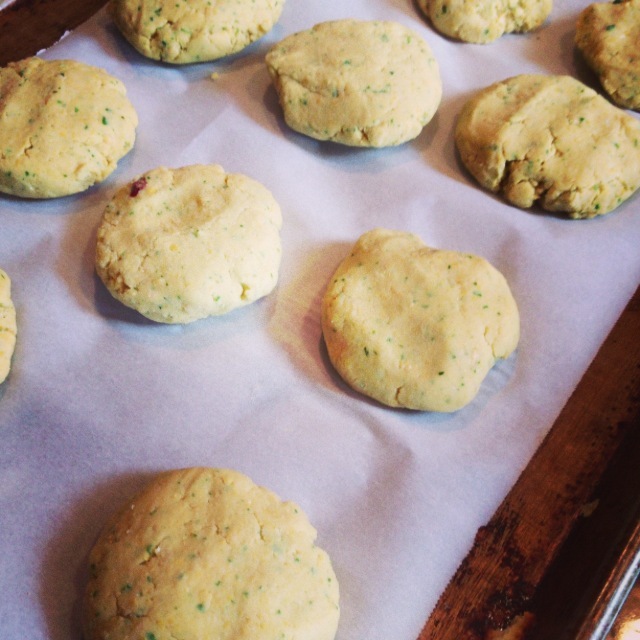 Give the falafal a quick browning on each side. I placed the cooked falafal onto a paper towel to absorb any excess oil. The sauce is a bit more simple then a traditional tzatziki sauce. I mixed some greek yogurt with a little salt, pepper and fresh chopped parsley. To assemble the salad, toss together the lettuce, tomato & cucumber. Top with a few of the falafal, a dollop of the yogurt sauce, a small drizzle of olive oil and if you’d like a little squeeze of fresh lemon juice. Serve the warm pita on the side.